Both notebooks come with NVIDIA GeForce GTX 1070, a Skylake Intel Core i7 processor, as well as an optional DDR4 2400MHz memory upgrade. 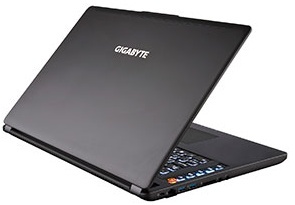 Next to the P55 and the P57, GIGABYTE also updated the P35 and the P37 gaming notebooks with NVIDIA Pascal graphics. These two thin-and-light notebooks for gamers also come with M.2 PCIe SSD storage, DDR4 memory, USB 3.1 Type-C connectivity, as well as HDMI 2.0. The 17.3-inch display of the GIGABYTE P37 comes with 4K UHD and full HD options, and the exclusive macro keys on the left side of the keyboard allow for up to 25 programmable macros. This machine will come with a sixth generation Intel Core i7 processor inside, NVIDIA GeForce GTX 1070 graphics, and a hot-swappable drive bay. GIGABYTE P35 has a 15.6-inch display with the same options as that of its larger sibling. It also has a hot-swappable bay and a quad-storage system, while the hardware specs should be about the same as those of the P37. These two gaming notebooks should arrive this fall, packing a 3-month premium license for XSplit Gamecaster and Broadcaster. Pricing, availability, and detailed information on the hardware options to choose from will become available closer to their launch, so stay tuned.